Going out and having fun with your friends is what life’s all about. Why risk missing out on the best nights simply because you can’t prove you’re old enough to get in? If you’re currently relying on your passport or driving licence as proof of age – think again! It’s a real a hassle and costs loads to replace this form of ID if it gets lost or worse stolen! 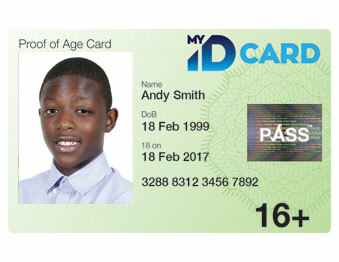 Priced at only £15, My ID Card is an official proof of age card, accredited by PASS. Who’s PASS? Well, they’re the UK’s national proof of age accreditation scheme, fully endorsed by very official organisations such as the Home Office and the National Police Chiefs’ Council (NPCC). 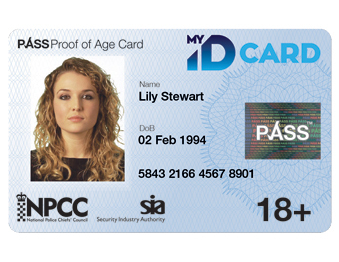 Because PASS carries these endorsements, the Security Industry trust our cards, meaning the door staff at your local venues, clubs and bars will recognise the authenticity of your My ID Card. Send your form, photos and photocopied documents to: My ID Card, The Lennox, Lennox Road, Basingstoke, RG22 4AP. Please send it either Recorded or Special Delivery, you will need to cover the cost of this postage. A Freepost option is available but can take longer to reach us and is not Trackable – on the envelope, just write: FREEPOST MY ID CARD – no stamp needed. 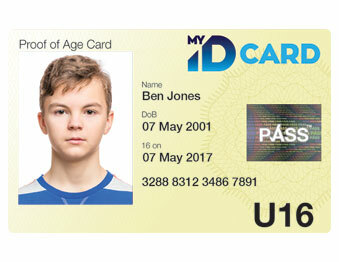 APPLY FOR YOUR MY ID CARD TODAY!